The last mandatory parent meeting for Annual Music Trip to Philly is on March 22nd at 7:30PM in the SPFHS Auditorium. Trip itineraries will be handed out. The school nurse and staff will be at hand to answer your questions about the trip. On Tuesday March 22nd Terrill Middle School will be hosting its annual Terrill in Tempo Jazz Festival. This is an evening filled with great jazz music performed by our own TMS Jazz Band and guest bands from middle schools around the area, including Park Middle School. Contact Andrea Cerini (andreacerini3@hotmail.com) for more information. 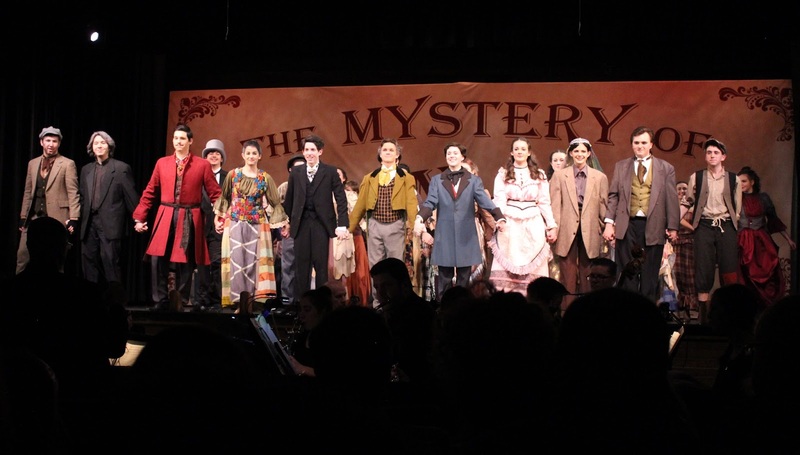 SPFHS Repertory Theatre is in the midst of its 2016 musical production, “The Mystery of Edwin Drood.” The cast is terrific, the singing and choreography wonderful, the orchestra is excellent and the costumes and scenery are amazing. We have several photos taken from the audience at the March 12 performance, mostly of the cast taking their curtain calls. There are three more chances to catch the show this week. See the schedule and find tickets on the Rep Theatre page. We’d love to add more photos from performances or rehearsals. If you can add to our collection, please contact Dan Murphy, who runs our photos website. http://spfmusicboosters.org/wp-content/uploads/2018/08/spfmba_logo-300x236-300x236.png 0 0 Dan Murphy http://spfmusicboosters.org/wp-content/uploads/2018/08/spfmba_logo-300x236-300x236.png Dan Murphy2016-03-15 15:54:102016-03-15 15:54:10Rep Theatre Performs "The Mystery of Edwin Drood"
Join us for SPF Music Booster meeting on Tuesday, March 15th at 7:30pm in the High School Multi-Purpose room. The SPF Music Boosters supports musicians in all SPF elementary schools, middle schools and the High School. Join us to learn about upcoming events and ways to get involved.